First came the ice and snow. Then came the damage – gaping potholes and cracked road surfaces. Now comes the big question. Is there the money to repair them? 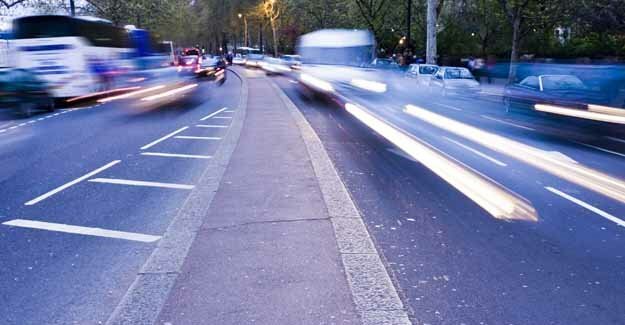 Hard-pressed motorists contribute £28 billion* to the Treasury each year through fuel duty and road tax, but only a fraction of this is spent on road maintenance, just £5 billion for the entire network. Of this a mere £653 million** is granted to councils in England for maintaining local roads – and even that doesn’t have to be spent on repairs. In fact it doesn’t have to be spent on roads at all. A report commissioned by the Royal Automobile Club Foundation*** called Taxes, Charges and Investments**** now reveals the full extent of the subsidies given to bus and rail passengers at the expense of road-users, and instead of Government spending on vital services such as highway maintenance. For every mile they travel by car motorists contribute a net 4p to the Treasury. Yet passengers on local bus services cost the Treasury 6.4p for each mile travelled and rail passengers are more expensive still – benefiting by a massive 20.8p per person per mile. Today (27th) the Foundation is urging the Government first to make emergency, ring-fenced funding available to local authorities for road repairs to get Britain moving again, and then strike a fairer balance between what Whitehall takes from drivers and the amount it puts back into the nation’s roads. The Foundation also regards spending on repairs and road building as a way of helping stimulate Britain’s ailing economy. * The £28 billion paid by motorists in duty each year comprises £23 billion of fuel duty and £5.2 billion of vehicle excise duty (road tax). In addition £12 billion of VAT is paid by households on purchases of motoring goods and services. *** The RAC Foundation is an independent motoring charity that researches the economic, mobility, safety and environmental issues relating to roads and the use of motor vehicles. ***** RAC Foundation and British Chambers of Commerce 2007 report – Business Travel: Choice or Necessity?